AUD 3,686 Excl. Duties / Taxes. This Marquise diamond is 1.03 carat in weight, and comes with Good polish and Good symmetry, as verified from an independent gemological laboratory. The diamond is graded J in colour, and has a clarity grade of SI1. The diamond's GIA grading report number is 2195284396, which will detail further its specifications and measurements, and will also come with the purchase of the stone. AUD 1,030 Excl. Duties / Taxes. This Marquise diamond is 0.42 carat in weight, and comes with Excellent polish and Very Good symmetry, as verified from an independent gemological laboratory. The diamond is graded J in colour, and has a clarity grade of SI1. The diamond's GIA grading report number is 2307906425, which will detail further its specifications and measurements, and will also come with the purchase of the stone. This Marquise diamond is 1 carat in weight, and comes with Very Good polish and Very Good symmetry, as verified from an independent gemological laboratory. The diamond is graded J in colour, and has a clarity grade of SI2. The diamond's GIA grading report number is 1283303453, which will detail further its specifications and measurements, and will also come with the purchase of the stone. AUD 3,026 Excl. Duties / Taxes. This Marquise diamond is 0.9 carat in weight, and comes with Very Good polish and Very Good symmetry, as verified from an independent gemological laboratory. The diamond is graded J in colour, and has a clarity grade of VVS2. The diamond's IGI grading report number is S3H72210, which will detail further its specifications and measurements, and will also come with the purchase of the stone. This Marquise diamond is 0.53 carat in weight, and comes with Good polish and Fair symmetry, as verified from an independent gemological laboratory. The diamond is graded J in colour, and has a clarity grade of SI2. The diamond's GIA grading report number is 6203125803, which will detail further its specifications and measurements, and will also come with the purchase of the stone. AUD 1,854 Excl. Duties / Taxes. This Marquise diamond is 0.69 carat in weight, and comes with Good polish and Fair symmetry, as verified from an independent gemological laboratory. The diamond is graded J in colour, and has a clarity grade of SI2. The diamond's GIA grading report number is 2183166201, which will detail further its specifications and measurements, and will also come with the purchase of the stone. AUD 1,652 Excl. Duties / Taxes. This Marquise diamond is 0.6 carat in weight, and comes with Excellent polish and Very Good symmetry, as verified from an independent gemological laboratory. The diamond is graded J in colour, and has a clarity grade of SI1. The diamond's GIA grading report number is 6301513072, which will detail further its specifications and measurements, and will also come with the purchase of the stone. AUD 5,094 Excl. Duties / Taxes. This Marquise diamond is 1.25 carat in weight, and comes with Good polish and Good symmetry, as verified from an independent gemological laboratory. The diamond is graded J in colour, and has a clarity grade of SI1. The diamond's GIA grading report number is 2205079948, which will detail further its specifications and measurements, and will also come with the purchase of the stone. AUD 3,962 Excl. Duties / Taxes. This Marquise diamond is 1 carat in weight, and comes with Excellent polish and Good symmetry, as verified from an independent gemological laboratory. The diamond is graded J in colour, and has a clarity grade of VS2. The diamond's GIA grading report number is 1166945954, which will detail further its specifications and measurements, and will also come with the purchase of the stone. AUD 1,838 Excl. Duties / Taxes. This Marquise diamond is 0.6 carat in weight, and comes with Excellent polish and Very Good symmetry, as verified from an independent gemological laboratory. The diamond is graded J in colour, and has a clarity grade of VVS1. The diamond's GIA grading report number is 2277937956, which will detail further its specifications and measurements, and will also come with the purchase of the stone. This Marquise diamond is 0.4 carat in weight, and comes with Excellent polish and Very Good symmetry, as verified from an independent gemological laboratory. The diamond is graded J in colour, and has a clarity grade of VVS1. The diamond's GIA grading report number is 2316312287, which will detail further its specifications and measurements, and will also come with the purchase of the stone. AUD 3,125 Excl. Duties / Taxes. This Marquise diamond is 0.94 carat in weight, and comes with Good polish and Good symmetry, as verified from an independent gemological laboratory. The diamond is graded J in colour, and has a clarity grade of VVS2. The diamond's IGI grading report number is D2E62839, which will detail further its specifications and measurements, and will also come with the purchase of the stone. This Marquise diamond is 0.71 carat in weight, and comes with Very Good polish and Good symmetry, as verified from an independent gemological laboratory. The diamond is graded J in colour, and has a clarity grade of SI2. The diamond's GIA grading report number is 2195418481, which will detail further its specifications and measurements, and will also come with the purchase of the stone. AUD 3,183 Excl. Duties / Taxes. This Marquise diamond is 1 carat in weight, and comes with Good polish and Good symmetry, as verified from an independent gemological laboratory. The diamond is graded J in colour, and has a clarity grade of SI2. The diamond's GIA grading report number is 2195882557, which will detail further its specifications and measurements, and will also come with the purchase of the stone. This Marquise diamond is 0.51 carat in weight, and comes with Excellent polish and Very Good symmetry, as verified from an independent gemological laboratory. The diamond is graded J in colour, and has a clarity grade of IF. The diamond's GIA grading report number is 1192628948, which will detail further its specifications and measurements, and will also come with the purchase of the stone. AUD 3,858 Excl. Duties / Taxes. This Marquise diamond is 1 carat in weight, and comes with Very Good polish and Very Good symmetry, as verified from an independent gemological laboratory. The diamond is graded J in colour, and has a clarity grade of VS1. The diamond's GIA grading report number is 3315992223, which will detail further its specifications and measurements, and will also come with the purchase of the stone. This Marquise diamond is 0.85 carat in weight, and comes with Very Good polish and Good symmetry, as verified from an independent gemological laboratory. The diamond is graded J in colour, and has a clarity grade of VS1. The diamond's GIA grading report number is 1162699477, which will detail further its specifications and measurements, and will also come with the purchase of the stone. AUD 1,385 Excl. Duties / Taxes. This Marquise diamond is 0.5 carat in weight, and comes with Good polish and Good symmetry, as verified from an independent gemological laboratory. The diamond is graded J in colour, and has a clarity grade of SI1. The diamond's GIA grading report number is 6302034622, which will detail further its specifications and measurements, and will also come with the purchase of the stone. AUD 3,412 Excl. Duties / Taxes. 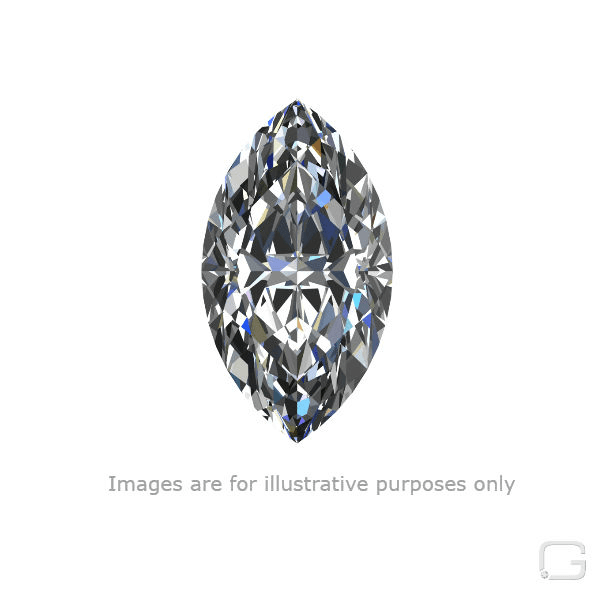 This Marquise diamond is 1.05 carat in weight, and comes with Good polish and Good symmetry, as verified from an independent gemological laboratory. The diamond is graded J in colour, and has a clarity grade of SI2. The diamond's GIA grading report number is 2175647653, which will detail further its specifications and measurements, and will also come with the purchase of the stone. AUD 2,965 Excl. Duties / Taxes. This Marquise diamond is 0.88 carat in weight, and comes with Good polish and Good symmetry, as verified from an independent gemological laboratory. The diamond is graded J in colour, and has a clarity grade of VS2. The diamond's GIA grading report number is 5182234420, which will detail further its specifications and measurements, and will also come with the purchase of the stone.